Another year of Coachella has given us a whole new feed of festival envy! With rainbows of colour, flocks of feathers and a sprinkle of sparkles (to say the least), Coachella 2019 had us majorly crushing on so many festival ‘fits! Bringin’ the style inspo’ you never knew you needed, here are a few of our faves from over the weekend! Accessory Queen? We think so. Clearly, nothing is ever too much when it comes to colours for this gal and we are living for it! 🌈 If you think you’ve finished up your outfit already, you defo haven’t. ALL of the beads are needed for this look and while we’re over here tangled in the muddled up necklaces we forgot to take off before bed, Gigi effortlessly flaunts the pop of colour we need in our lives. With these swirly patterns making their return on the Spring ’19 catwalks, Gigi shows us exactly how tie-dye is done. Bringin’ a bohemian vibe to her weekend ‘fit, this is the tie-dye goodness we will forever be searching for. Of course, Jaden Smith NEVER disappoints. 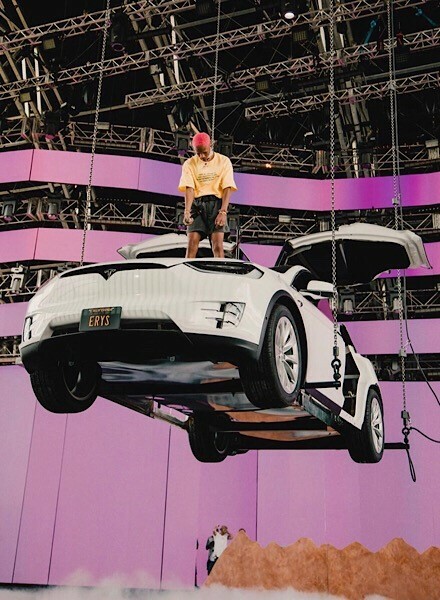 But did you expect him to be riding a floating Tesla during his performance? Probably not. Forever repping the most fashion-forward, eye-catching looks, Jaden’s pink hair wasn’t the only thing we couldn’t take our eyes off! Repping two festival ‘fits on the gram, Jaden flexes a simplistic yellow tee with shorts, before hitting the stage in a stamped up suit – I mean, what else do you wear while flying on cars? 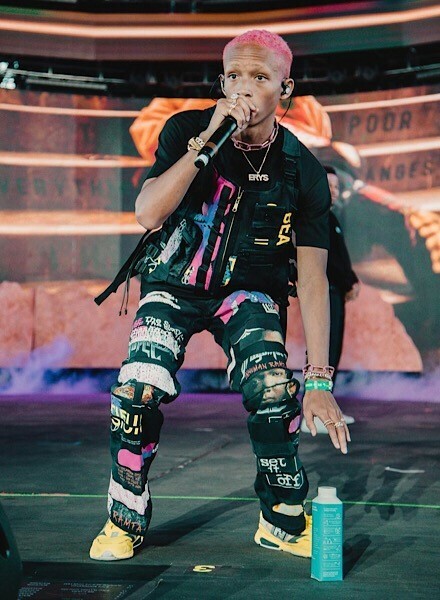 Giving a nod to his upcoming album, Jaden teases us with an ‘ERYS’ necklace – roll on May! With the hot weather never missin’ a beat at Coachella, these gals were good to glow! Both styling a leather look with denim mini-shorts, this is a festi look that’ll never get old! Switching up a classic look, Sarah keeps things cute with a side tie leather top, while Shanina adds flavours to her jacket with multi-coloured panelling! 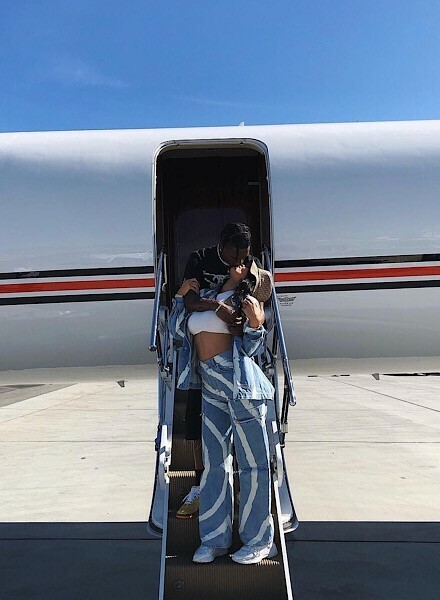 Ahh, to be stepping off a plane into the Cali heat with beau, Travis Scott. Kylie Jenner will always be Queen of insta envy by flaunting her pretty much perfect, well, everything. Back to her usual glam, Kylie bedazzles us with this figure-hugging piece FULL of glitzy sparkles – If ya got it, flaunt it right?! However, what we want to know, is what on earth she could be carrying in that teeny-weeny purse?! Heading to a festival this year? Make sure your ‘fit is festi-ready with all the latest from JD! From Bags to Bandeaus, Caps to Crop Tops, we’ve got ya covered, girl! As Seen On - Mums!